Classic warmth presents itself anew in the Casual Traditional collection to bring your home a taste of sophisticated living. 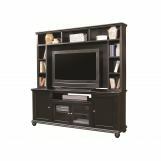 This collection of bookcases and entertainment units offers storage and style that is rivaled by no other. Simple and chic molding accents, classic bun feet, and accent metal hardware are divine design details seen throughout the Casual Traditional collection. Crafted from hardwood solids, this collection is available in cherry, black, or antique white. Whether you’re looking for a television console, wall unit, or general storage and display space, let the Casual Traditional collection fill your home with the fashion and function it has to offer. 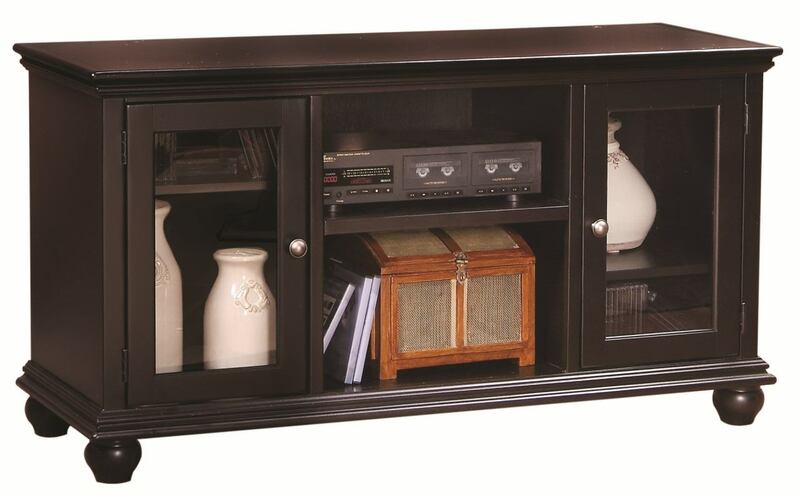 The 51-inch television console from the Casual Traditional collection will make a wonderful addition in any room of your home. 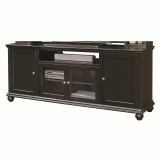 Crafted from hardwood solids, this console is available in cherry, black, or antique white. 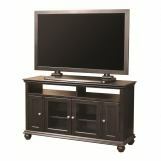 This television console offers two doors with two shelves behind each and two open component compartments in the center of the unit, providing you with plenty of space to set up all electronic equipment and store DVDs or other gaming accessories. Simple yet chic molding accents around the top and base of the piece, classic bun feet, and accent metal knob hardware on the door fronts are divine design details that are sure to enrich any space. Whether you’re looking for a little relaxation and entertainment in your bedroom, living room, family room, or den, let the 51-inch television console from the Casual Traditional collection add style and storage to your décor.